What struck me most about this recording was the high production values and Lance's excellent musicianship. 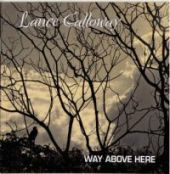 An album filled with guitar virtuosity, (he sings lead and most harmonies and he plays guitar lead and rhythm, bass, mandolin, ukulele and resophonic guitar), slick arrangements and all original songs, Lance shows himself to be a gifted singer songwriter and a fine example of the caliber of acoustic music in the Queensland scene. For my folkiefied ears - the album feels more suited to the modern country music scene, but the more I listened the more I liked the songs. Strong personal lyrics coupled with good melodic lines with tasteful harmonies are to be savoured regardless of genre. A feature of the album is the use of resophonic guitar (especially on Hole), and some very tasty mandolin. I wish the voices were further forward in the mix and I would have preferred less drums - but that's my folk ears (and prejudices) showing I fear. The title track is my favourite with a catchychorus and a beguiling lyric life can only get better, it always works out that way and the obligatory train song Sound of the Train is also noteworthy for its catchy chorus and lead guitar. Little Out of Love features the mandolin and the ukulele and great harmonies. Somewhere in Between is a haunting yearning love song that I could hear myself singing. Way Above Here is certainly a worthy listen, especially for guitar aficionados and those interested in original, contemporary acoustic based music with heart. South East Queenslanders had the pleasure of meeting Tom during his recent (June/July 2007) northern tour, so have already heard and enjoyed his work. He won the hearts of his audiences with his gentle, quirky style of presentation and his offering of wonderful original music. Tom is a gifted song maker and Acoustic Caravan shines with the skilfully constructed rhymes, rhythms and tunes that we have come to expect from this talented modern minstrel. Acoustic Caravan - 11 compelling tracks from a seriously talented musician, beautifully engineered by Peter Haydon at The Songsmith studio. The Honey Eaters (Clytie Binder and Roo Friend) are fine musicians with impeccable credentials. Although new to the Brisbane folk family, they are seasoned performers in other configurations with other players. Roo has toured with names such as Col Joye, Judy Stone, Little Pattie and Normie Rowe as well as working for two years with Larry Muhoberac, Elvis Presley's piano player in the 60s. Clytie studied classical piano, then Contemporary Music at Southern Cross University in Lismore, and formed a band exploring jazz based music from around the world. 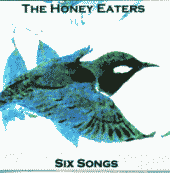 Clytie and Roo came together in 1992 near Lismore, playing in the jazz/rock group Short Straws, but went their separate ways until they met up again and formed The Honey Eaters. Six Songs is a sample CD of - yes, you guessed it - six songs (all Roo/Clytie originals) which shine with a bright innocence born of honest, intelligent lyrics and a sense of 'just having fun' with rhythms and styles. The duo creates a happy, feel-good sound backed with a blend of mandolin, guitar and Clytie's ankle bells. If there is a style called Folk/Country/Jazz (maybe Folkojazz?) then they are excellent ambassadors of it. Six Songs in a word? Charming! Phone: (Roo) 07 3391 1514 - or at their performances. The Honey Eaters will be the guest act at the Kookaburra Café on October 10, 2007 - see Kookaburra Folk, this edition. I love a new CD, especially one with songs I already know & love. But it's a risk, that first listen, hoping they haven't gone wild in the studio, bending songs into unrecognizable shapes. Sometimes I listen to a CD once & never again. I first listened to this one four times over, and after a month I still listen to it twice in a row because of its entrancing, evocative sensitivity. 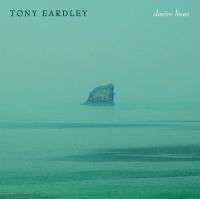 Since he started singing again after a 25 year hiatus, Tony Eardley has crafted a handful of exceptional songs, recorded here for the first time. Some are already performance favourites: the nostalgic reverie of Portugal Beach; the refreshing honesty of Footsteps on an Empty Road; and the astute observation of Before The City Wakes - a tribute to a woman of the streets. There are a few carefully selected covers, by luminary songwriters Nick Drake, Jackson C Frank, and Ian Telfer. As a mark of a gifted songwriter, these don't stand out from Tony's originals. There are also two songs originally composed for other groups: Come Away With Me, a lover's lament, for Ecopella, and Taken, a powerful call for justice, written for Touchwood. The standout offering is Water From The Well, an anthem of creative perseverance. Its lyrics deliver a potent wake-up call about living each day to its fullest - an important teaching for all of us who make music as part of living a full, fragile life. Tony's sometimes reserved vocal delivery has real warmth and brightness of tone in this recording. The arrangements, recorded with musicians of the highest calibre, are delightfully tasteful and blend seamlessly - remarkable given the different instruments involved. The whirling & weaving harmonies are particularly poignant and clear (including those of our own Helen Rowe), and there are lots of singalong options for the resolute folkie. Generally, I recommend seeing a performer live before buying a recording, but in this case the CD's quality stands alone. I recommend you buy it right now (www.tonyeardley.com) and follow the trajectory of another important artist on our Australian (folk) music desire-line. 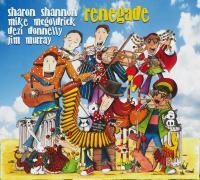 Sharon Shannon's new release RENEGADE is her first studio album since 2003. She is joined by Michael McGoldrick on flute and whistles, Dezi Donnelly on fiddle and Sharon's longtime guitarist Jim Murray, and has a guest list that includes Justin Adams, John Reynolds, 2Play, Roachie, saxman Richie Buckley and Donald Shaw. RENEGADE, a heady mix of traditional Irish with hip-hop beats, reggae, jazz and world music inflections, features new original material by the quartet and will be featured in their September-October tour of Australia and New Zealand. Fellow musician and touring performer Gibb Todd gave it the thumbs-up. The definition of renegade as given in Chambers Encyclopaedic Dictionary; A person who deserts religious/political group etc. to which they belong, to join enemy/rival group. Laying that definition onto the musical world from which this band comes, they have not so much joined a enemy/rival group as to have re-defined the tradition to which they belong, in a glorious, riotous celebration of their roots, and created a musical vision all of their own. Listening to this CD it's hard for me to believe that it's a studio recording, their enjoyment of the shared experience of playing together is almost palpable. It feels and sounds like an almighty session, and they are no strangers to almighty sessions! I've known this band as members of other ensembles over the past 10 yrs or so, and have always been a huge fan of each of them, but this combo. just takes the cake. I heard and experienced them last year on their first Australian tour together, at the Brisbane Irish Centre. After listening to many great bands over the past 45 yrs (even considering my advancing senility) I can't remember feeling so lifted and exhilarated by a live musical experience, as much as this one did, and I have to say the Renegade CD endorses everything I remember. Finally, I was knocked out by the debut vocal excursions of Michael McGoldrick and Jim Murray, but then I ask myself, why am I surprised with anything they do? Makes me wonder what is next - just how much better it can get than this! Don't miss them, if you do you'll be sorry. Of course there's only one way to review a CD of stories for 4-9 year old children - play it to kids! I put The Mermaid's Shoes on (so to speak) in the car, heading up to The Planting at Woodford, and sat back to hear the reactions of my eight year old son and seven year old daughter. Hands-down favourite was Two Russian Goats, the character voices for which are provided by the storyteller's own adorable three and six year old children. This is a delightful bringing to life of the old adage about the grass being greener on the other side of the fence - or, in this case, valley. 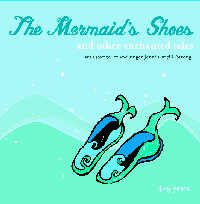 Other special mentions included The Mermaid's Shoes, an original story set in Byron Bay; The Rat, a traditional Chinese allegory about being happy with who you are; and The Seal and the Baby, a lovely selky-tale in the Irish tradition. Jenni tells a story with clarity and conviction, and the enchantment is enhanced by accompaniment on traditional instruments - lyre, harp, zyladrum, darabouka, djembe, tabla and cavaquinho, to name a few. This classy production by The Story Tree Company will be enjoyed by kids and adults alike. The cover notes point out that there are no scary stories here, just beautiful ones - so if you want to gift a very young person with some happy magic, this might be just the present you're looking for. Mary Brettell needs no introduction to Brisbane audiences. She is an outstanding performer with a lovely, expressive, strong voice and an enviable repertoire of songs which cross many different styles and genres from traditional and contemporary folk through country and bluegrass to raunchy 1920's classics. Mary B, her debut album (and about time, too!) 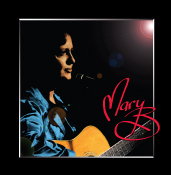 is a comprehensive, delightful and true musical portrait of Mary, containing a popular selection of the songs she sings so well to which she gives her own special interpretation. MaryB opens with a simple a cappella rendition of Convict Maid, attributed to Mary Reibey (whose portrait adorns the Australian $20 note), then swings into Ray C Abbott's And When They Dance. The Australian theme continueswith Brisbane Ladies (also known as Augathella Station - apparently from the imagination of Bert Lloyd who changed the song to make it more colourful.) Mary has created her own hybrid by returning to the original Saul Mendelssohn version and adding a chorus which is a truer interpretation of the better known chorus usually attached to this song. She follows this with Banjo Patterson's Clancy of the Overflow, set to music by the band Wallace and Matilda. The beautiful Dancing at Whitsun (written by Austin John Marshall) refers to the Morris dancers who dance in the English springtime each May and is a lament for the lives of the men lost in battle. Mary's perceptive treatment is superbly backed by Helen Rowe's lovely viola. The country girl in Mary breaks out in Buffy Sainte-Marie's I'm Gonna Be A Country Girl Again - we've sung this as a duo since the 1970s and I was delighted to be asked to join her on the CD - followed by Emmy Lou Harris's Boulder to Birmingham which Mary sings with warm compassion. Cars are also represented - and why not? - by Tiffany Eckhardt's wonderfully nostalgic Toyota Corolla and Jeremy Taylor's Red Velvet Steering Wheel Cover Driver. Tony Miles' Comfortable Screw is a favourite of Mary's and her version is from a recording that Tony taped for her one night in a local folk club. Mary completes her musical portrait with two 'musts' - Long Playing Daddy by Ruth Wallis, American's Queen of Bawdy Ballads and Woman Be Wise written by Sippy Wallace in the 1920s - wonderful songs and very Mary B. The finished recording, produced by Mark Smith of Real Productions, is stylish, sensitive, uncluttered and professional - an eclectic collection from an exceptional performer. Backing vocals are by Anne Infante and Helen Rowe. Guitars by Mary, Rhys Owen and Michael Flanders. The cover design and graphics are by Mary. For Cloudstreet fans who miss John and Nicole when they are off touring the UK and other far-flung Corners of the Commonwealth (there was even a reputed Cloudstreet sighting in a back-alley pub in Hong Kong a couple years ago), here is a live CD that takes you along - without your having to take out a second mortgage on your banjo to pay Qantas. Clouds on the Road was recorded in various concerts in NZ and back in Oz while touring early this year. There is something elemental about these two in concert: much of their warmth and wit, charm and chops come through in this well recorded live. One thing that struck me after listening to these 14 tracks was the wonderful variety and uniqueness of good folk music, well arranged and well performed. There's not a thematically or musically formulaic song on the list! Among the unique gems is The Wooden Spoon penned by Nicole. It was written for her mother who marked important family occasions with loving gastronomic creations. It is both very personal and vividly picturesque, all served up with John's rhythmic guitar. Nicole's Violet Sarah again has vivid word pictures that in this case made this blue-water sailor want to switch to a canal boat and the close waters and cosy companionship of the British canals. Several of the songs are done as a' capella duets where John and Nicole really shine. These are interesting - sometimes unusual - harmonic lines that come together and resonate. I really like that! (happened to me once) Additionally there are tasty bits of Nicole's flute and whistle (and yes she is still beating on her signature cardboard box...not a Fosterphone but equally emblematic) and John's guitar and concertina. The on-stage repartee between songs is classic Cloudstreet and another reason why a live album suits them. They are joined on a few numbers by their Big Band: Rebecca Wright (cello and vocals) and Belinda Ford (fiddle, flute and vocals). One of the highlights of this year's National Folk Festival was watching the rest of Australia discover Queensland's own Bloke'apella. By the festival's end you had to be early to get into their packed out venues - even earlier if you wanted to sit down - and their CDs quickly sold out leaving them copying more on computer and putting them together at their concerts! The blokes have a full, rich sound with tight harmonies and will not be fitted into a convenient niche for anybody. They are equally happy singing gospel, mediaeval and traditional Irish and European music as covering Billy Joel or Alex Campbell or writing their own merciless parodies or frighteningly short versions of popular folk songs. Blokes Sound Off opens with a little insane philosophy in Been Glad To Know You then swings into Billy Joel's The Longest Time (lead vocal by the sweet - voiced Darren Cheasley). Just when you thought you were in fairly safe territory, the blokes launch into The Russian Song, a soul-stirring, deeply meaningful (possibly) song in which nearly every word is Russian - but don't worry, you'll understand it all perfectly. Lola is the next to receive special treatment; Bloke'apella acknowledges Swan Arcade for this version. The blokes' harmonious rendition of Qual Si Pud Dir'Maggiore by Monteverdi is lovely. Stuck On You reveals the blokes' sensitive if frustrated side and is followed by the dark, moody, morbid, self-pitying Nobody. Bad Verse unashamedly makes a sow's ear out of a silk purse (Mad World). The final track, The Parting Glass is beautifully delivered with all the moving simplicity of this traditional leave-taking Irish traditional song. BlokesSound Off is available from the blokes: Simon Wellsor phone him on 0408 762 473. Mark Davidson needs no introduction to Brisbane folkies. Laughter In The Clay is his long-awaited debut solo album and it's a sheer delight - gentle listening; wondrous pictures in rhyme; lilting, lovely tunes - exactly what we expect from this multi-talented performer and songmaker. Mark writes strongly appealing songs about real people and places, involving us in his life's experiences which mirror so many of our own. His music charms, lifts or soothes with its peaceful images (Dancing Down the Isle of Skye), its playful creativity (Pasta Banquet Blues), its heart-tugging remembrances of lost friends (Mr Arthur, Jean d'Lyons) and of family legends and laughter (Apple Cake Rag, Little Girl Dancer, June's Gift). Devotees of Mark's music (and there are many) will discover old favourites (Dance Time Susan) as well as lesser-known treasures waiting to be enjoyed (Ahoy Watchman!, Laughter in the Clay, With the Wind - lyrics by Paul Sherman). As well as lead vocals, Mark plays lead and rhythm guitars and many of Brisbane's talented folk family have added their outstanding talents. Support vocals are by Ross Roache, Rose Broe and David Logan and Maxine Chisholm joins Mark singing lead vocals on Jean d'Lyons. Rose Broe also plays piano accordion and keyboards; Paul Cannon contributes mandolin, guitar and tenor banjo; Michael Tully is on bass; Matt Kealley, percussion; Steven Lake, fiddle; Robin Etter-Cleave, whistle; David Logan, lead electric guitar. 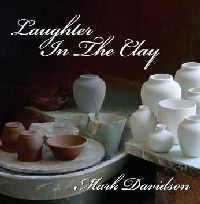 Laughter In The Clay is yet another excellent production from the incomparable Mark Smith's Real Productions studio, mixed by Dave Neal at The Refinery. And once again, Mary Brettell's fine hand is seen in the excellent cover design, layout, artwork and photography. Website or wherever Mark is performing. I have been hearing the music of Mark Davidson in various incarnations since I became involved in the Brisbane folk scene some 20 and more years ago. So, it was with great delight and not small expectations that I jumped at the chance to review this CD. I was not disappointed. Every song an original (lyrics included) - range from whimsical, gentle humour, (Pasta Banquet Blues and Apple cake Rag) through nostalgia, (Danctime Susan) to history, (With the Wind), to the personal, (June's Gift and Mr. Arthur), and world issues, (Ahoy Watchman). I especially enjoyed the Brisbane references - it's gratifying to hear songs about the familiar places in our lives. Mark is supported by some of our scenes' finest musicians - Ross Roache, Rose Broe, Michael Tully, Matt Kealley, Davy Logan, Paul Cannon, Steven Lake, Robin Etter-Cleave and Maxine Chisholm. I particularly enjoyed Ross Roache's support vocals - the vocal blend between them, is a delight to hear. It was a pleasure to hear Maxine Chisholm's voice on Jean d'Lyons, as I have very pleasant memories of Mark and Maxine performing together as Tapestry. Davy Logan's electric guitar on Ahoy Watchman is another highlight, as are Rose Broe's keyboards throughout. Filled with beautifully arranged, finely crafted songs, and very high production values, (Mark Smith's Real Productions, of course, and Mary Brettell's superb cover design) this recording is a delight for those of us who know Mark's work, and it will be a revelation to those who are, as yet, unfamiliar. This album is truly an enjoyable and pleasant listen. So lovely to be able to say nice things about an album that is filled with friends and fine music. Defn: "Steel drum" - take percussive instrument without permission. What, you ask, has inspired all this net-surfing for obscure and fascinating facts? Answer: Martin's Bar - the new CD from steelpan ensemble Pantastic. From five players in early 1998, Pantastic has grown into a ten-piece band, with instruments like triple cellos, double guitar and tenor bass. Working with Lennox Madman Jordan, a second generation Trinidadian steelband arranger, maker and tuner, the band has produced a diverse CD featuring well-known tunes, original songs, and calypso classics. Martin's Bar, Maracas Lime, and Your Place Naturally! have that cheerful, laid-back, tropical feel we associate with steel bands, while Samba D'Orfeo, Mi Paramour, Pantastic Parang, and Nature Boy, combine Caribbean and Latin influences. Caravan evokes the Arabian Nights, the thrumming steelpans lending an anarchic, dangerous edge. I enjoyed the melancholy feel of Carnival Done Gone, and had a laugh at the calypso take on Over the Rainbow. The standout tune for me though - introduced so delicately, then rocked up into a syncopated joyous dance number - is the classic, Amazing Grace. A nice party CD. Dreams of Flying is a double CD album - 23 tracks - unusual for a debut recording. Dave Burton comes from a rock/gospel background and, while this certainly influences his writing, his songs often tend towards complex jazz/blues rhythms, as well as leaving the odd echo of country/bluegrass. Dreams of Flying stylishly blends guitar, bass, violin, piano, saxophones (tenor and soprano), flute, bodhran, drums/ percussion and backing vocals from a team of Dave's friends and fellow musicians who work together in the band Dreams of Flying which gave the album its name. Dave's songs come from his personal experience and observation of life's many situations and dramas. Born in Gympie, he moved to Brisbane in 1967 but left again for North Queensland. He spent time in Victoria and London, returning to Brisbane in 2003. He is a prolific songwriter with a natural talent for expressive, descriptive poetry and his songs demand your attention, empathy and compassion; they draw the listener into Dave's world with no equivocation or apology for the offering of his experiences, warts and all. Brisbane seems to draw to itself excellent singer/songwriters and Dave is a welcome addition to our folk family. His songs are sophisticated, his lyrics powerful and profound, his tunes strongly melodic and his rhythms appealing and diverse. This is excellent late-night listening music and was beautifully recorded and engineered with Marly Luske at Alchemix Studios, Woolloongabba, Brisbane. or wherever Dave is performing. 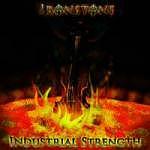 After many years performing in the music scene, and appearing as backing musician on various albums, John Wright has finally stepped to the fore and produced Industrial Strength with fellow musician Steve Lake. In what has ended up an extended Demo of six tracks, the pair (who perform as Ironstone) cover a wide range of styles from traditional Celtic to Celtic/rock. I was completely won over by their treatment of the Scottish Rosslyn Castle. With imaginative ornamentation, Steve takes the air and bends the notes and timing to make it his own. Those who know John's finger-style guitar playing will appreciate the subtle backing here - it's what he does best - sometimes echoing the melody, sometimes providing a counter-melody. It's a nice change to have two male voices singing in harmony, as John and Steve do on Better be Home Soon, and in North Sea Holes, they capture the excitement that is expected from any performance of this MacColl evergreen. Not quite sure what to make of the final track, which intermingles Lord Mayo with one of John's originals: Ballina. Rock? It takes me back, I'm just not quite sure where to; however, it is a very interesting treatment of Celtic and Rock. Vocally, John is strongest when performing his own work. The Chance contains such poetry: We took a chance in the still of the night, to open like a flower to the sun... Our wings slowly dry as we stretch our legs, in the warm light of love's early rays... with sensitive fiddle supplied by Steve. As for me, I wait for the CD that features John's originals. He is such a talented songwriter. 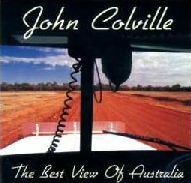 At first glance, the cover of John Colville's new CD appeared to be an outback airstrip seen from the cockpit of a light aircraft. I was swiftly informed, and realised almost at the same moment, that it was actually an outback road viewed from the windscreen of a truck. In any case, The Best View of Australia is exactly that - a wide-screen view of Australian bush and rural life captured in song. John brings an easy style to this unashamedly country album. He has a lyrical voice that you'd call gentle rather than strong, but has the knack of injecting sincerity and passion into the songs (and you can hear every word). His selection of material is predominantly contemporary, from the pens of some of Australia's best writers, with a couple of traditional bush songs added into the mix. Three tracks written by the late Tony Miles sit very comfortably beside songs by Aussie writers Ted Egan, Eric Bogle and John Williamson. Tony's songs deserve a high profile - as Brisbane folkies will loudly proclaim. The Best View of Australia paints a varied picture of life in the bush, from the hopeful mother waiting for the return of her children (When the Children Come Home by Henry Lawson, sung to Tom Blackman's Waltz) to the desperation of a cockie forced to sell the family farm when it became financially unviable (Leaving the Land). It's not all doom and gloom, however, not by a long shot. I've seen the greatest country underneath the southern skies, wrote Tony Miles in the title track of this CD, a long-distance truckies' opinion that he has just the best job. In another of Tony's songs, Pineapple Pie, a warm Caribbean feel brings to life the joys of tropical Queensland. Continuing the Queensland promotion, John has included a fresh interpretation of Chris Buch's well-known Johnny Stewart, Drover. The tree-change exodus currently sweeping the country is evident in John's selection of Tony's Getting Away From It All; the lure of the bush is strong in Mulga Fever and A Bushman Can't Survive (on city lights); while the secret of happiness is revealed in Stan Coster's Catching Yellowbelly (in the muddy old Barcoo). The final track is an old bush standard, Billy of Tea. There is a personal connection here for John, originally from Dundee in Scotland - the delightful tune for this song is a waltz-time version of the well-known Bonnie Dundee. John presents a far more colourful rendition from the norm by using the B part of the original tune for the chorus. I'd always thought there should be more to Billy of Tea than just the 16-bar tune! Having made the tree-change himself a few years ago, John has first-hand knowledge of the benefits of moving from the city to the bush, and this is more than evident in his choice of material. John is an accomplished accordionist, having played Scottish dance music both in Scotland and in Australia for many years. On this CD he draws on his multi-instrumental skills, backing his songs with accordion, harmonica, tin whistle, lagerphone and vocal harmonies. Recorded at Marc and Vicki Lea's Regency Sound Studio in south-east Queensland's Lockyer Valley, this CD boasts an excellent standard of production, mixing and musical arrangement. Marc provides guitar, bass, drums, harmonica and vocal harmonies, as well as engineering the album. The Best View of Australia has a gentle, easy-to-listen-to feel, and should find a place in your New Year's collection! Brisbane based folk/jazz quartet Moot - Steph Lees, vocals and guitar; Josh Hatcher, tenor sax, flute and vocals; Helena Redmond, cello and Dave Bell, percussion - have released their first recording. 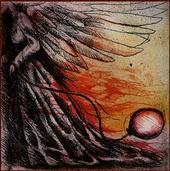 A seven track EP of poetic original songs, called Dead Fly. This clean recording features Steph's extraordinarily brave vocal style coupled with clever arrangements and outstanding instrumental performances. The recording has a distinctive jazz sensibility and the silky laid back feel of a dimly lit coffee house. The soulful sax and moody cello emphasize this sensual quality underpinned by subtle percussion. The lyrics are sophisticated and expressed with passion. The standout feature of the recording is Steph's vocal performance. Her technique allows her to tonally match the sax, flute or cello effortlessly. Reminiscent of Bjerk, she is unafraid of using all the tones she is capable of producing; even sounding ugly if that is what the lyric and feel requires. All the arrangements and the instrumental performances serve the song rather than being clever or flashy for their own sake. If I have one growl about this CD it is with the levels in the mix. Backing vocals are sometimes louder than the lead, occasionally the cello or the percussion is so far back in the mix it seems they are in another room. My other growl is a small cosmetic consideration - without looking up the website I would have had no clue about who played what or the full names of any of the members of the band due to the complete lack of information on the CD itself. I recommend having a listen to this idiosyncratic and entertaining CD and enjoy a look into a passionate moot world.